Do You Require Drug Testing for Your Employees? Many employers require drug testing as part of their pre-employment assessment process, and may include periodic random drug testing and for-cause and post-accident drug and alcohol testing as part of their company’s workplace substance abuse program. Nearly 75% of all adult illicit drug users are employed, as are most binge and heavy alcohol users1 and problems related to alcohol and drug abuse cost American businesses roughly $81 billion in lost productivity in just one year2. In fact, industries with the highest rates of drug use are the same as those at a high risk for occupational injuries, such as construction, mining, manufacturing and wholesale3. These same employers must also be diligent in screening, monitoring and caring for prospective candidates and employees who may work in high risk occupations through more specialized occupational health testing. First-time substance users generally don’t find their drugs on the street. They find it in their home among everyday items used by the family. Do you have aerosol cans, cleaning fluids, and removers scatters around your house? These are inhalants, a “gateway” drug easily accessible by young teens. Inhalants are products that produce breathable chemical vapors that cause mind-altering affects, similar to alcohol. Because inhalants are breathed, they quickly enter the user’s blood system, causing an almost immediate affect. According to the 2008 National Survey on Drug Use and Health, 729,000 young people, ages 12 and up, used some type of inhalant to get high during the past 12 month period. 70% of these first-time users were under 18. In fact, according to The Alliance for Consumer Education (ACE), 1 in 5 children will abuse inhalants by the 8th grade. 8th grade students show the highest level of inhalant abuse, with a higher percentage being female. How are these everyday products used to get high? The inhalant user may sniff or snort the fumes directly from the container. They may also spray the product directly into their nose or mouth. Other ways fumes are introduced include “bagging”, where the vapor is sprayed directly into a plastic or paper bag, then placed over the nose and mouth to breathe the fumes; and “huffing”. Huffing occurs when a rag or clothing is soaked with the product, then it is held over the nose and mouth or even stuffed into the mouth. Inhalant abuse is not something to be taken lightly. 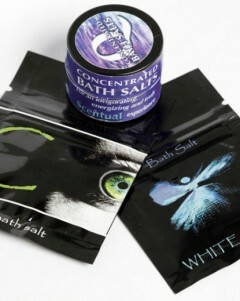 The products used are toxic and hazardous. Improper use of inhalants can cause damage to the brain and nervous system; organ damage; convulsions and seizures; choking caused from inhaled vomit; secondary injuries from accidents; and even death. To learn more about inhalant abuse and how to talk to your teen, visit The National Institute on Drug Abuse’s website on inhalants for more information.